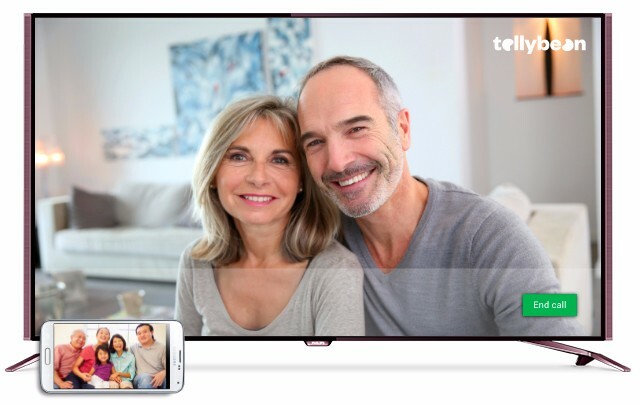 Video-call specialist Tellybean is updating its Android TV software for Philips TVs, making its service available on the Android TV home screen and pre-installed on new Philips TVs. Using the Tellybean Camera app, users can turn their Android phone into a ‘wireless webcam’ allowing them to video call to the TV. Tellybean is also working with Philips to offer a standard USB-camera as an alternative to the Camera app. Tellybean has been working to provide video calling on Android TV since Google I/O 2014, while Philips TV was one of Google’s original TV partners. Tellybean’s video calling app has been shortlisted for this year’s TV Connect Awards in the ‘Best Smart TV App’ category. Results will be announced on April 27.